As one of the trace minerals our body requires, copper is the third most abundant in the human body and plays a vital role in health. The lack of a proper amount of copper in our body may cause iron deficiency anemia, high blood pressure, osteoporosis, general weakness, diarrhea, baldness, nerve degeneration, and skeletal deformities. Adding copper supplements help insure proper balance in our system and blood stream. Copper is important to us in many ways. 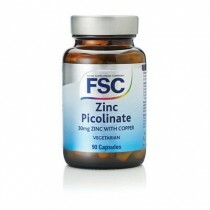 Its key functions include assisting in the formation of red blood cells, hemoglobin, and bone. Healthy nerves depend on copper to maintain and manufacture myelin, which forms an insulating sheath surrounding nerve cells. Collagen and elastin, connective tissue proteins, get a production boost from proper amounts of copper in the system. It works along side vitamin C and zinc in the production of elastin and is necessary for development of bones and skin, and in the maintenance of joints and blood vessels.Copper is also involved in the making of melanin, the pigment that forms hair and skin color. Without copper we would suffer a loss of skin color along with possible skin sores. Copper also helps our body utilize iron. There are many natural sources of copper that can benefit our body. Raw oysters, shell fish, soy flour, cherries, mushrooms, garlic, nuts, oats, lentils, beets, barley, avocados, wheat germ, almonds, and blackstrap molasses are among many that provide a small amount of copper. Additionally, some is found due to use of copper plumbing and cookware. A proper balance of zinc, vitamin C, and copper is important because each one depends on another. Large amounts of copper reduce levels of both zinc and vitamin C, and large amounts of vitamin C and zinc will, in turn reduce copper levels in the blood stream. Additionally, those who consume larger than normal amounts of alcohol can benefit from the addition of a copper supplement. Among the many benefits of a proper amount of copper in the body is how it affects the healing process. Damage to skin and other soft tissue can be reversed and healed quickly through supplemental copper, zinc, and vitamin C. Soft tissue injuries and surgical wounds have been proven to heal more rapidly when adequate amounts of copper and other minerals are included in the daily diet. Bone health can be benefitted by adequate amounts of copper, and will be evident in bone density which in turn can decrease ones susceptibility to develop osteoporosis (especially in women). With proper amounts of copper in the system, iron is absorbed far more efficiently, helping balance of hemoglobin levels. The recommended daily amount of copper is one and a half to three milligrams and many of us get far less than that making copper supplements a valuable addition to our daily vitamin and mineral intake. As previously mentioned, too little of this valuable mineral can contribute to various health related problems including increased a glucose intolerance, blood pressure, heart rhythm issues, as well as possible cholesterol problems. There are two substances in our bodies which contain copper and work as antioxidants to fight off diseases which have been determined to neutralize some of the many harmful forms of oxygen which are attributable to causing cancer. Copper joins forces with manganese, selenium, and molybdenum, other antioxidants and defend our body against cancer and other formidable diseases, making it even more beneficial to take a daily supplement rich in these valuable minerals.